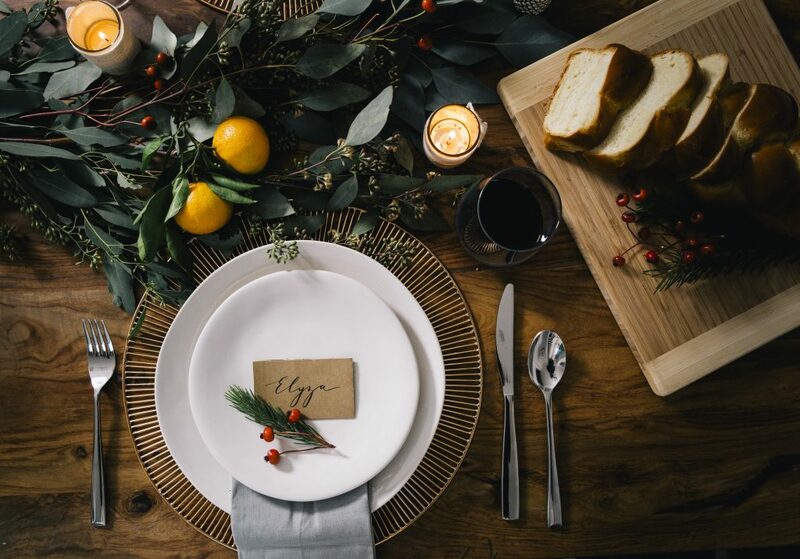 Make Your Holiday Tablescape Dreams Come True | Havenly's Blog! 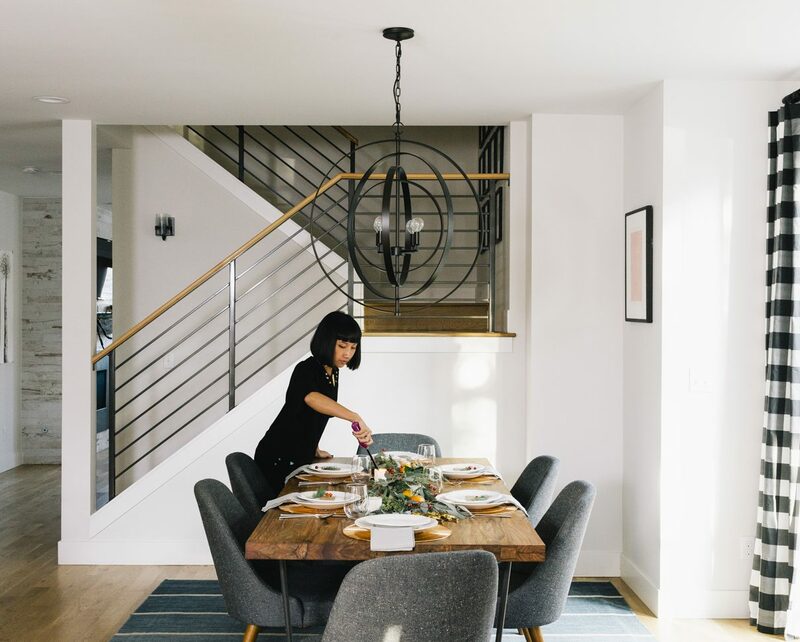 The big holiday entertaining season is in full swing, and while we all have dreams of perfectly curated decorative tablescapes, sometimes it can be harder to execute than expected. For example, this Thanksgiving, responsible for the family table’s look, I ran to Whole Foods for greenery. Unfortunately, the only thing left in the floral department was a single orchid. So, I ended up sneaking into my neighbor’s yard and cutting some branches from a convenient pine tree. With this lesson learned, I’m planning on being much more proactive for the Christmas holiday! Luckily for you, my advance planning has resulted in some awesome tablescape tips for gorgeous seasonal style. While the classic pine garland looks great running down a table, don’t limit yourself! Eucalyptus branches, magnolia leaves (if you’re in the south, these might be in your backyard), myrtle and olive branches also work for a beautiful dark green base. Plus, they aren’t as messy and won’t leave pine needles all over your dining room! For accents, berries are always a great touch, but citrus fruits, baby’s breath, roses, carnations, or poppies would look beautiful tucked into the mix. A white tablecloth certainly elevates any occasion, but honestly it can be a little boring. Try leaving your table bare for a more modern look. Or, consider using something unusual, like a scarf or throw blanket to bring color to the mix. It doesn’t have to cover the entire table either, which can be hard in a larger setting. Instead, play around with angles and folds. Your old paisley shawl could make the perfect table runner if you fold it carefully! If you’re lucky enough to live somewhere that’s warm enough during the holiday season to spend time outside, don’t hesitate to center your decor around the setting. Instead of the moody, dark colors typical of colder holiday celebrations, try bright pops of pink and blue. It still feels festive but fits the surroundings a little bit more. 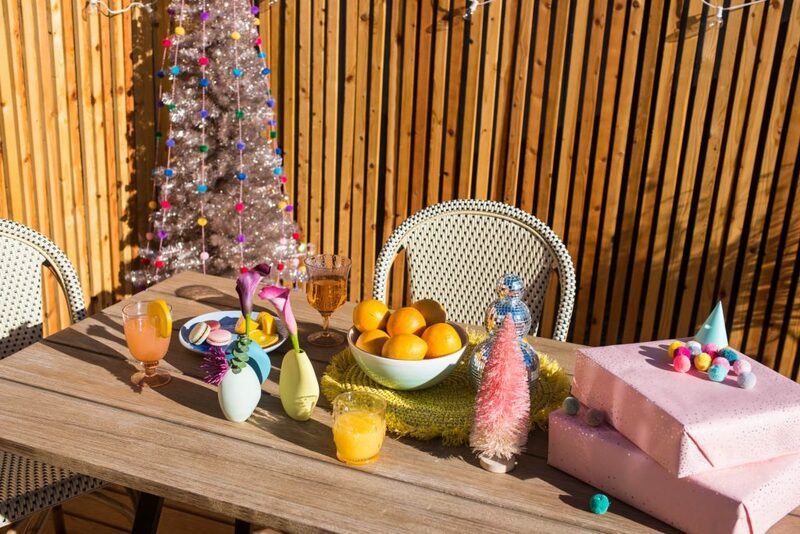 Plus, if you have space on a deck or patio, your guests will love the unique feel of fresh-air and tropical vibes during their holiday meal. 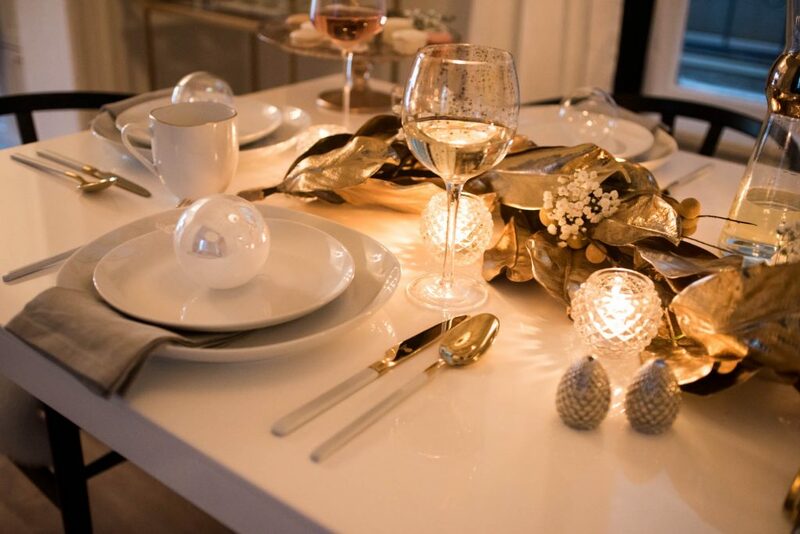 During the holiday season, we often turn to metallics to bring light to our space in lieu of sunshine. Sometimes, though, we get too hung up on matching our metallics. A table full of gold everything might look more liberace than winter-wonderland. To temper the gaudiness, mix your metallics! Try combining subtler pewter and sterling silver with the brighter golds that are typical to the season. Don’t be afraid to mix the shades- it just adds depth and layers of reflective light to the space. Don’t hesitate to think out of the box for your holiday tablescapes, although we can’t condone stealing greenery from your neighbor’s yard. 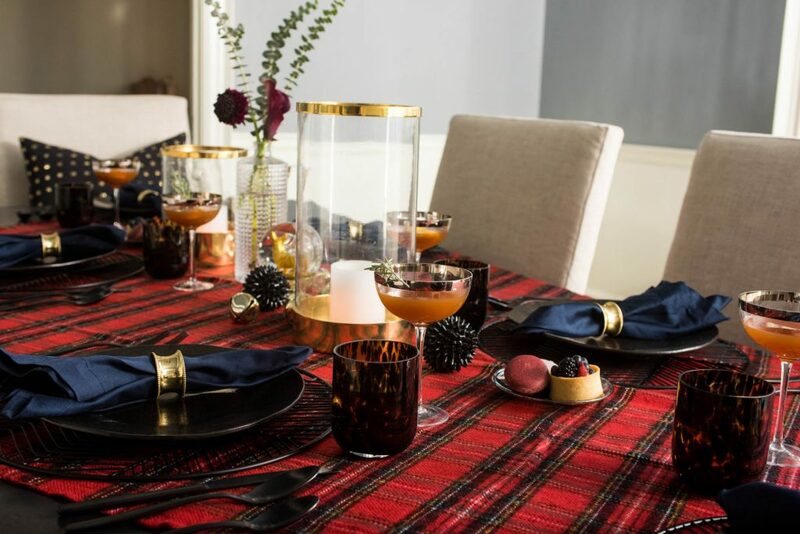 With a little elbow grease, even the most uninspired of us can create a truly festive holiday table! Shop tablescape ideas at Havenly. Here's how a designer would do it.